Cheese Making with Corleggy Cheese | Food NI - Our Food So Good! Cheese Making Class & Cheesemonger’s Lunch: Sunday 30th June 10am-4pm at Broughgammon Farm, Ballycastle. 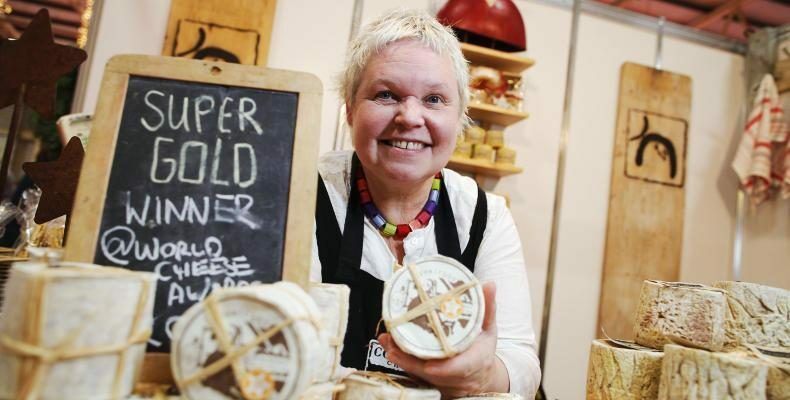 Corleggy Cheese is one of Ireland’s leading cheesemakers, with numerous awards tucked under their aprons. So Broughgammon are delighted to be able to host a whole day with Silke Cropp, the woman behind Corleggy. The day will begin by discussing cheese theory and making a delicious raw soft cheese with cows milk. After a Cheesemonger’s Lunch of cheese, cured meat, pickles, local bread, nuts, fruit and more (and of course paired with wine) there’ll be more hands on cheese making, this time with a hard cheese. You’ll end the day with the ability to make your own cheese, as well as the cheese you created earlier to take home. This is a wonderful opportunity to learn the art of cheese making from one of the best! For more further event and ticketing information – Click Here!